MANCHESTER, England (CNS) — A prominent Catholic lawyer has expressed concern that local governments are considering exclusion zones around abortion clinics, with no proof anyone is harassing pregnant women. 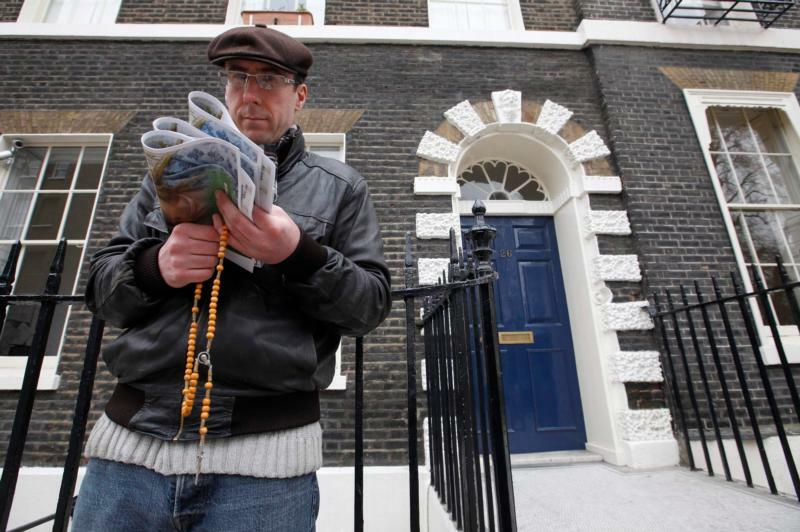 Neil Addison, director of the Thomas More Legal Centre and author of two legal textbooks on U.K. harassment law, said Marie Stopes International had failed to prove that pro-life pavement counselors were intimidating its clients. Marie Stopes is an international nongovernmental organization that provides abortion services. The Marie Stopes clinic in west London wants the local Ealing Council to create a “buffer zone” to keep anti-abortion advocates away from pregnant women. The council has agreed to undertake an eight-week public consultation, in which it will listen to a range of opinions before deciding what action to take. If the council issues a Public Space Protection Order for a buffer zone, other local authorities across Britain are likely to follow suit. Local councils in London, Birmingham, Portsmouth and Manchester are considering establishing buffer zones around abortion clinics. In written submission to Ealing Council, obtained by Catholic News Service Feb. 7, Addison said there was no evidence of anti-social behavior by members of the Good Counsel Network, a largely Catholic group that prays outside the clinic and offers leaflets to women entering. He said legal measures, such as injunctions, to prevent menacing behavior existed under the 1997 Protection from Harassment Act, but the clinic had made no attempt to obtain them. In the last decade, he said, the injunctions had proved successful in keeping animal rights protesters away from testing laboratories but could be granted only after judges considered evidence. Richard Bentley, managing director at Marie Stopes UK, told Catholic News Service he knew several local authorities were watching the Ealing situation, and the British Home Office was looking at the issue from a national perspective. “The groups that stand outside our Ealing clinic have openly stated that they don’t view their activities as protest, and we agree. It’s harassment. These groups have confirmed that they have no medical training and no formal counseling accreditation. There is no justification for their stationing themselves at clinic doors, approaching women they know nothing about and attempting to involve themselves in one of the most personal decisions a woman can make. “The majority of women who arrive at our clinics have already had a consultation with a trained health care professional in which they have talked through their options and have come to a decision that’s right for them. Strangers harassing them as they enter and leave the clinic does nothing to change that. All it does is upset women on what can already be a difficult day,” he said. Ealing Councilman Ranjit Dheer said: “Our research has shown that the Ealing community would welcome the idea of enforcement action being taken against those committing anti-social behavior in the area. The Canadian province of Ontario has a new law that establishes a 50-meter no-protest zone around eight abortion facilities in Ontario. But others have discovered numerous cases of women expressing gratitude for the advice they received from the Good Counsel Network. One woman, who did not wish to be named to avoid embarrassment to her family, told CNS how she was bullied into an abortion at the clinic by her boyfriend and her parents but, at the last minute, found the courage not to go through with the procedure. She escaped the clinic and family by scaling an 8-foot perimeter fence with the aid of a workman and turned to the counselors, who placed her in the care of a doctor. She is now the mother of a healthy 3-year-old daughter. “When I went for the abortion I really didn’t want to see the pavement counselors, because I thought they would shout abuse at me and tell me I was going to hell, and I felt guilty enough about going in there,” she said.